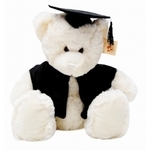 Caramel Bear Jelly Graduation Bear 23cm | Graduation Bears and Gifts at discount prices! At 23cm this bear is the big brother of the Bear Jelly 18cm bear. Just like his little brother he is a dark caramel colour and wears a black satin mortarboard graduation cap with black tassel and a black satin graduation cape. 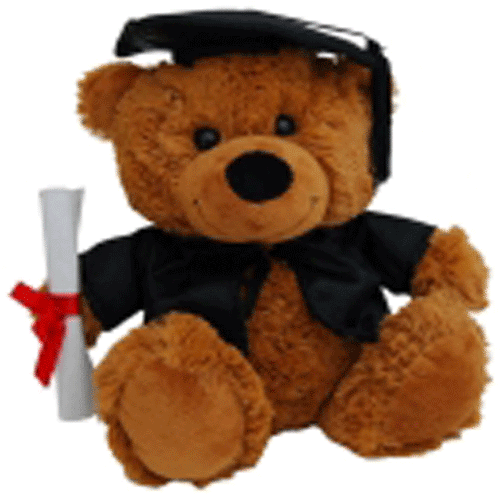 In his cute paw he holds a white felt graduation certificate tied with a red bow.